4G communication in the 1800 MHz band is currently available in 1,380 localities for at least 90% of their residents, the National Commission for Communications and Informatization Regulation (NCCR) has reported. In accordance with the list of localities provided to the NCCR by operators, 4G communications in Ukraine cover: 95 localities by Kyivstar, 1,099 localities by Vodafone Ukraine and 185 localities by lifecell. The lifecell’s press service told Interfax-Ukraine that they had submitted a list of localities with a population of more than 10,000 people to the regulator, in which at least 90% of the population is covered by 4G communication in the 1800 MHz band. “In total, 4.5G-communication from lifecell in the 1800 MHz band is available in 5,082 settlements with different levels of population coverage,” the lifecell said, citing data as of January 11, 2019. In turn, the press service of Kyivstar also reported that they submitted exclusively those settlements in which more than 10,000 people live. “The company did not include localities in the rural areas and small cities with a population of less than 10,000, as these data were not requested by the regulator. As for the territory of the 4G communication network, Kyivstar now covers 3,619 populated localities,” the country’s largest mobile operator said. 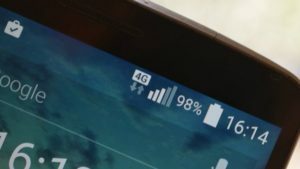 Vodafone Ukraine told Interfax-Ukraine that as of January 17, 2019, 1,124 localities are connected to the 4G network, about 19 million Ukrainians live in them, but the company could not explain why the number of localities submitted to the regulator is different compared with its competitors. Kyivstar and lifecell suggested that such a difference is due to the fact that only the towns with a population of over 10,000 were submitted, while Vodafone Ukraine presented all of the localities. According to the regulator, mobile operators have already received more than 35,500 licenses to operate radio electronic equipment: more than 24,500for 3G/UMTS; more than 9,500 for 4G/LTE (the 1800 MHz band) and about 1,500 for 4G/LTE (the 2600 MHz band). According to the licensing conditions, operators must ensure that 4G services can be received within 12 months for at least 90% of the population of each regional center of Ukraine, and within 42 months for at least 90% of the population of each locality with a population of more than 10,000 people except for regional centers and settlements located in the zone of environmental protection and on the areas annexed by Russia. 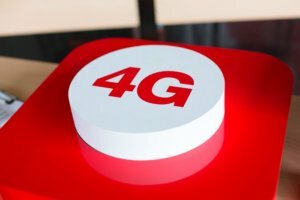 Vodafone Ukraine mobile communications operator from July 1 will launch 4G (LTE) high-speed mobile Internet in the 1800 MHz band in 10 regions, the company’s spokeswoman Victoria Ruban has told Interfax-Ukraine. “On July 1, 2018 all three mobile operators are to receive licenses for the same number of towers [in the 1800 MHz band] – 1,600 each. Someone distributes them across Ukraine to declare more covered towns. We would focus on the largest cities in 10 regions to give high-quality coverage. Then, as soon as the licenses are issued we will expand geography,” she said. Ruban said that 4G communications in the 1800 MHz band would be available to residents of around 50 cities and towns in the following regions: Kyiv, Dnipropetrovsk, Kharkiv, Zaporizhia, Odesa, Mykolaiv, Poltava, Sumy, Kirovohrad and Kherson. The 4G communications tender for the 1800 MHz band on March 6 was held honestly, professionally and openly, fully in line with the Ukrainian legislation, President of the largest Ukrainian mobile communications operator Kyivstar Petro Chernyshov has said. “We are thankful for support of authorities in holding the successful tender, in particular, the president of Ukraine. I regret about my previous comments. I had no intention to criticize the tender process,” he said in a statement published on Wednesday. Earlier on Wednesday, an interview of on March 6 was published. He criticized the fact that Ukrainian President Petro Poroshenko spoke at the tender between the session for the second and third lots. In the new statement, the Kyivstar president pointed out concerted efforts of all power institutions, the regulator and the government during the entire period of preparations and holding the 4G tenders for 1800 MHz and 2600 MHz to make them successful. Chernyshov recalled that the company invested over UAH 14 billion in the development of new technologies in Ukraine and seeks to expand its presence in the sphere, in particular, to install over 600 additional towers in 2018 to expand the 4G coverage territory on the major part of Ukraine, including in rural areas. Kyivstar highly appreciates the potential of 4G development in Ukraine and believes that access to new technologies became possible thanks to the holding of the successful and transparent 4G tender for radio frequencies. 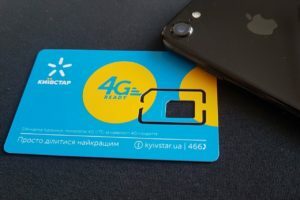 The mobile operator lifecell has begun to provide 4G (LTE) communication services in 22 regional centers, as well as Kramatorsk and Severodonetsk, while 3G + and 4.5G traffic will be charged the same way, the operator said on Friday. 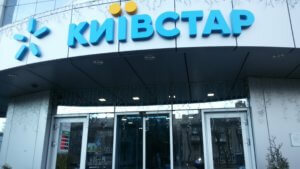 “In one third of the cities, namely in Mykolaiv, Chernihiv, Zhytomyr, Rivne, Cherkasy, Vinnytsia, Severodonetsk and Kramatorsk, lifecell is the only operator that started to provide 4G communication services,” the operator said in a press release. According to the operator, 49% of smartphones in the lifecell network support LTE technology. 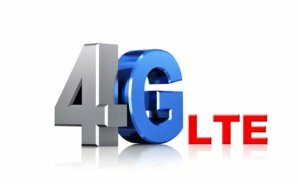 4G mobile services will be provided using LTE Advanced Pro (4.5G) technology, which provides up to five times faster download speed, up to 10 times faster upload speed, as well as instant reaction of websites and applications in comparison with 3G. To use a next generation connection, a subscriber needs to have a SIM-card with support for the 4G/LTE standard (USIM-card) and a smartphone supporting at least 4G/LTE. “The USIM card not only supports the 4G (LTE) standard, but it also has other advantages: higher security and additional options. The main difference is larger memory, and the USIM address book can store up to 500 contacts with extended data: several contact phone numbers and an e-mail address,” the press service of the operator said. The operator lifecell also does not plan to set a separate tariff for 4G traffic. “3G+ and 4.5G traffic will be charged the same way. The subscribers will choose which technology to use in the phone’s settings,” the press release said. The second wave of 4.5G deployments from lifecell in the 1800 MHz band is expected in July 2018.